The condition ‘flat feet’, or ‘Pes Planus’ to use its medical name, is when the usual arch shape of the sole of the foot is fallen. This results in most, if not all, of the foot being in contact with the floor when standing. Our feet are complex formations of 26 bones and over 100 muscles, ligaments and tendons, as described by online health portal, Patient, so it’s not surprising that they have a huge impact on our posture and general health. 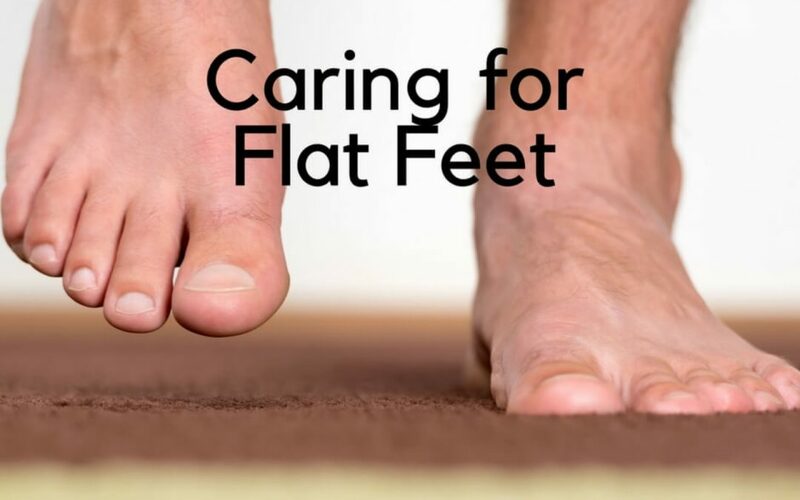 While in itself, this condition doesn’t usually cause any pain, having flat feet can lead to discomfort and other injuries if not diagnosed and looked after. How Do You Get Flat Feet? Flat feet are most commonly an inherited condition apparent from birth. However, it’s often hard to tell if a child has flat feet until they are a little older, due to fatty tissue around babies’ feet masking their true shape. Stretched connective tissue caused by overuse, age, obesity, unsupportive footwear or sports injury. Numbness or stiffness in your feet. If you regularly suffer from any of these symptoms, seek medical advice from your GP or book an appointment with one of our registered podiatrists. Most commonly, non-surgical treatments of flat feet reduce pain and discomfort, and leave the patient able to get on with their life. A podiatrist can advise you about specific stretches to strengthen the tendons and tissue in your feet. In some cases, where the condition has been caused by a more serious underlying condition such as foot bone deformity, surgery may be the only way to resolve the problem. However, this is usually a last resort if the above non-surgical treatments have not fully resolved the problem. At Feet by Pody’s London clinics, our podiatry service uses state-of-the-art biomechanical assessments to diagnose the root cause of your foot pain, identifying whether you may be suffering due to flat feet. We can advise strengthening foot exercises and provide you with bespoke orthotic insoles to help you with your day-to-day life. For professional help to overcome flat feet, please call Feet By Pody today on 0207 099 6657 or book your appointment online.